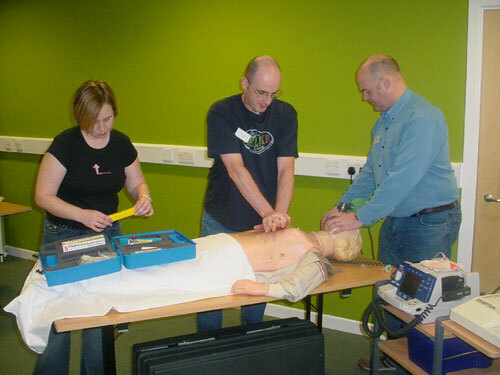 Adult life support incorporates all the necessary theory and practical skills of basic life support (BLS) and much more. We recognise that BLS is a "holding procedure" and that the early recognition of illness with appropriate intervention is the key to success. This course therefore also teaches you the basic skills to be able to recognise these signs and symptoms and the treatment priorities. 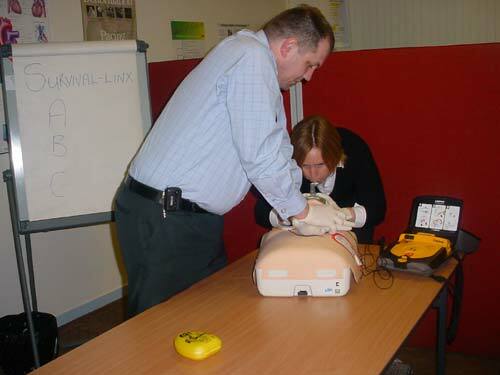 Survival-linX trains the individual to use the airway adjuncts that are available to them and appropriate to their professional background. Very often BLS has already been initiated by others therefore you role in a resuscitation attempt whether calling an ambulance or supporting the relatives must also be addressed. This is a short, practical-based course with a large emphasis on 'hands-on' candidate participation. Content is covered by a lecture, demonstrations, skill stations again the focus on realistic scenario-based education giving you the confidence and basic skills required to offer the casualty the very best chance of survival. A handout covering the current Resuscitation Council (UK) guidelines is also available to all candidates. A certificate will be issued following successful assessment.